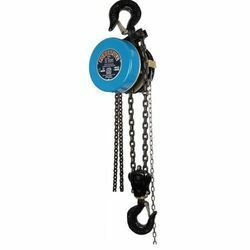 Our range of products include universal chain pulley blocks, industrial chain pulley blocks - heavy duty-1.5t x 3mtrs, hand chain hoist, non spark chain pulley block 7.5t x 3mtrs lift, manual chain blocks - isi marked 0.5t x 3mtrs lift and powerfull bemco brand geared travelling trolley-1tx3mtrs..
Owing to our rich industrial experience in this domain, we are actively engaged in offering supreme quality Universal Chain Pulley Blocks. The offered blocks are designed for long & dependable services. Our offered blocks are assembled with screw & friction disk type brake that ensures full safety at all positions. These are used in various heavy duty industries like moulding, dying, casting etc. Clients can avail these blocks from us in various specifications and delivered within promised time-frame. 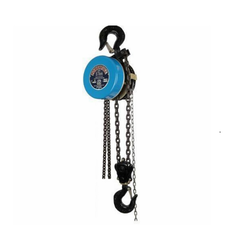 Owing to our wide expertise, we are supplying and trading excellent quality Industrial Chain Pulley Blocks are used widely in various applications in different industries for lifting purpose. These pulleys are made of standard material. We offer them to clients at competitive prices at international standard. We M/s BEMCO Pvt. Ltd., are manufacturing POWERFULL® Bemco Brand ISI-Marked Chain Pulley Blocks of BEST QUALITY indigenous. 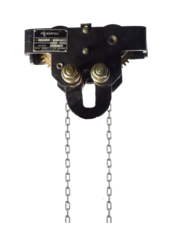 (d) I-Beam travelling trolley, Geared & Pull-Push type(e) Alloy Steel chain sling as per IS 2760. (f) Crane hook with/without machining as per IS 3815/15560 with all test certificates like Ultra,MPI, IDLR T/C with Government Approved Test House as per requirement of customer. 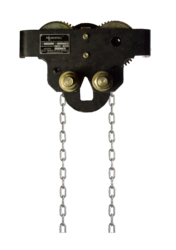 By utilizing our years of experience, we bring forth a qualitative array of Manual Chain Block. The block offered by us is manufactured using superior quality raw materials and the latest technology at vendors' end. Moreover, a team of our vendors' quality experts conducts a series of quality tests on the entire range of block to seek out any probable defect. In tune with industry standard, we provide this block in various specifications at market leading rates. Powerfull Bemco Brand Geared Travelling Trolley-1tx3mtrs. 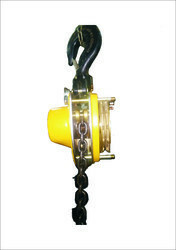 We are highly recognized enterprise involved in manufacturing and supplying high-quality Heavy Duty Chain Pulley Block. Our offered block are much appreciated in the market for their high load carrying capacity and highly durable design. We manufacture these products with the perfect utilization of modern age technology and quality tested alloyed steel. 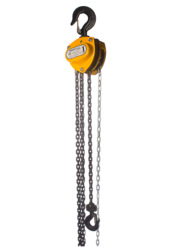 Furthermore, equipped with galvanized chains, these blocks have increased strength and functional accuracy. "Powerfull" Bemco Brand Geared Traveling Trolley-2tx3mtrs.